Sensorfact enables medium-sized industrial companies, many of which lack the knowledge and investment capability to make best use of new technologies, to leverage the advancement of the ‘internet of things’ (IoT), and in doing so minimise their operating costs. 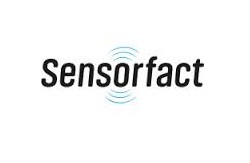 Sensorfact offers a (i) product and a (ii) service. The product is a software tool, which helps the manager of a plant increase its efficiency by providing data-driven feedback. Data-driven process optimisations are offered as a ‘no cure, no pay’ service.